Videos are insanely popular and are still one of the most underutilized e-commerce strategies. Many experts have talked about the importance of product photography in the past, but excellent product photos are table stakes at this stage. If you plan to take your e-commerce business to the next level and want to beat your competition, you cannot afford to ignore the power of incorporating video into your marketing mix. In the following post, we will show you how you can capitalize on videos to boost conversions and grow your business online. 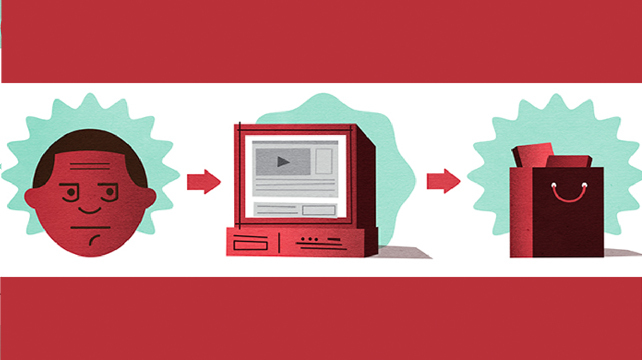 Promoting your brand, company, and products through videos is not a new methodology. Many businesses have been utilizing this tactic for years, albeit with altering levels of success. Video marketing, however, still has plenty to offer to businesses, new and old, small or large. If anything, it is becoming increasingly important. The leading video sharing website YouTube recently announced that it receives over 4 billion views each day. That is equivalent to 770 videos being watched simultaneously every second. That’s, undoubtedly, a vast audience. It’s growing, and it exists. Admittedly, many of the views above will most probably have been for the latest music videos or ‘epic fail’ viral hits, but that does not mean that e-commerce retailers can’t take advantage too. Why is video important – the benefits? 33% of people choose video-watching to learn about products. Video marketing is popular because it addresses a problem shared by most consumers: time constraint. Most people are busy; and if they’re browsing through your e-commerce site, they probably want to digest the information as fast as possible and then make a reasonable decision; whether to make a purchase or not. So, make it easy for them. 33% of people agree that videos are one of the best ways to engage with sellers and product buyers. Text descriptions are too tedious, while images don’t give away sufficient information. Not many marketers have time for a sales call either. When it comes to teaching people about your services, and ultimately, encouraging them to buy, videos are the best option. The vast changes in the way that search engine results are presented have also helped in improving the visibility and effectiveness of videos. In the past years, multimedia results on Google pages have been given greater prominence; in some cases appearing above organic results. 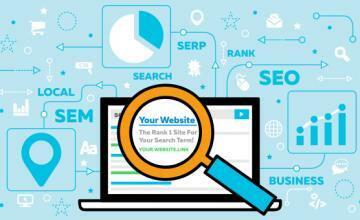 A successful, keyword targeted video can be just as visible as the top-ranked search results. The truth is simple: if you don’t have a video on your e-commerce site, you could be missing out – big time. Not convinced? Mentioned ahead are ten benefits of e-commerce video marketing that will persuade you to efficiently utilize it and rethink your decision. Under search results, Google displays a mix of upshots which include an image, video, news, maps, and other mediums in addition to regular searches. Having product videos gives you an additional chance to rank, especially if none of your rivals are using video in their stores and for their products. Moreover, research also shows that Google favors sites with a video which again means having product videos (ideally hosted with YouTube – a Google-owned company) will give you a higher chance of ranking on the first page in search engines. Studies show that people are more likely to share videos more than text pages. Additionally, consumers are naturally more inclined to click on a video thumbnail than on something with no visuals or multimedia element. 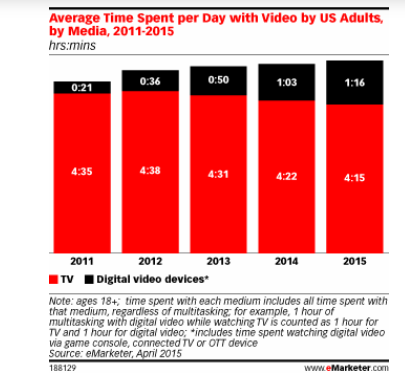 Users are spending more and more time watching videos on the internet. Compared with reading long product posts and descriptions online, following videos takes a little effort on the part of the consumer. Videos allow you to engage an audience that may otherwise dismiss the critical information you would other otherwise convey through text. Supporting the viewpoint above is an article on Treepodia, titled ‘New Generation, New Media, and New Expectations – Is Your Video Engaging?’ The piece conveys that younger people – who have the spending power and are the next generation of consumers – are watching less television and more online video. They are also in search of stuff they can share, and there is no reason why your company video shouldn’t tick that box. The massive spread of mobile-usage has turned consumers into omnichannel shoppers – searching for product information via multiple channels online. The article, Who Are Omnichannel Shoppers? And Why Is Video Crucial to them? Cites a research from Invodo stating that almost 40% of shoppers are more likely to make a mobile purchase, considering they have access to product videos. This means that businesses need to have captivating video offerings on all channels where people search. If you want people to buy or make it more likely that they will, an article on tubular insights shows how Paintball Online.com experienced an increase of 1% point in purchases when they used product demo videos. This means that visitors stayed on each page for a couple of minutes instead of bouncing off in just a just few seconds. Videos give customers an opportunity to see a product in action, to learn about its features, and to get ideas and tips on how to make the most out of their purchases. 57% of consumers, in fact, claim that videos boost their confidence in products they purchase and are less likely to return their orders. 45% of the consumer market prefers product videos by experts, while 68% prefer them from ‘people like me.’ No surprise here, since it is human nature to trust the suggestions of people like us and those we ‘click’ with. 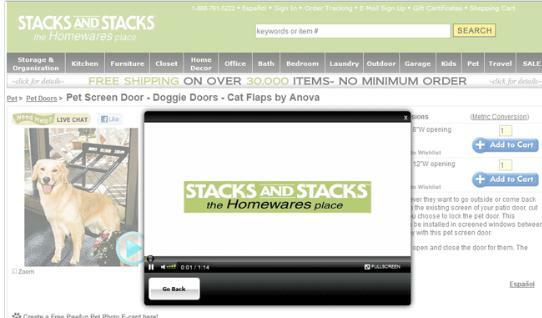 According to a study, 45% of consumers would re-visit online retailers if they have product videos on their pages. The perks of marketing videos extend from this point further. The confidence gained from watching product videos turns into greater trust in retailers featuring videos on their own product pages. And since we all live in an era of shopping on-the-go, viewers who watch mobile videos say they are 1.2 times more likely to think highly of brands that feature product videos. The argument about whether the product videos help with SEO extends far and wide into the online realm. The rumors are, indeed, true. Having videos helps achieve better search engine ranking and improves site visibility. According to Buffer, pages with video content enjoy 157% percent in organic traffic from search engines. What’s more encouraging is that, on average, video content generates 3 times as many monthly visitors to a website than any other content. Having embedded videos on your main pages is a no-brainer, and your video strategy can become a dominant force that attracts a more significant number of potential customers to your website. 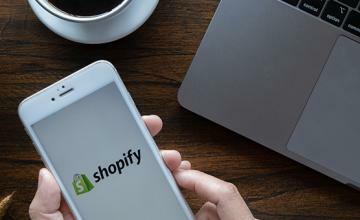 There are plenty of shoppers that use mobile devices to browse for products, especially when they’re inside a shop. They don’t want to scroll much, however, nor click on lots of links to find what they need. Videos have the power to replace a product page on a mobile commerce site, aiding mobile consumers in making quick buying decisions. Consumer-made videos can have more impact than videos created by a company since consumers trust what their peers are saying. Today, online merchants are looking for new and better ways to collect and make use of user-generated videos in their e-commerce storefronts, since these resources can help increase conversions and are also more likely to go viral. What should online businesses do? There are plenty of online brands that already employ some form of video marketing. Whether this is done as a means to demonstrate products and services or in strictly promotional capacity, the effect can be pretty much the same. Videos can be an adequate substitute for text or to demonstrate things you would find it challenging to communicate in writing. This is why hosting multimedia content on your service page can be so advantageous, particularly when it comes to driving sales. Many sites are already taking advantage of video marketing. Amazon, for example, now features previews for a number of games, DVDs and other products. The manufacturers and sellers of a range of specialist hair care products, GHD, have also developed a strong identity on-site and on YouTube. Along with promoting the latest collections, videos also provide practical demonstrations of products in action. 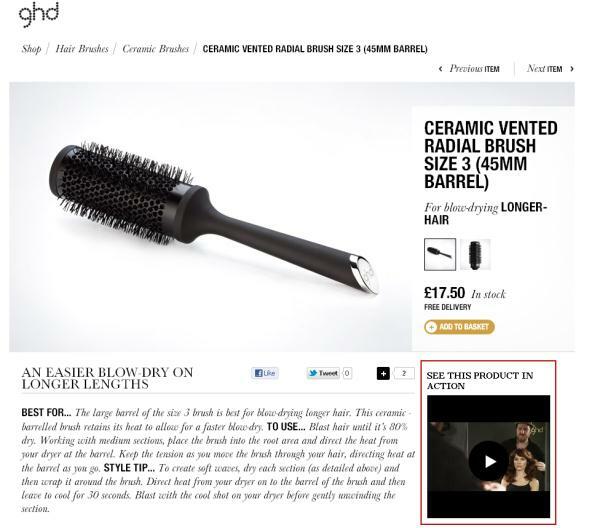 As you can see in the image above that as well as a large picture of the product, the page also had a cleverly written text description and video, which visitors can view to understand how useful the product is in action. For many indecisive customers, this could prove as a pivotal point in whether or not they make a purchase. It is not just in GHD’s own domain that the company is able to demonstrate service and help those searching for tips on hair styling. Their branded YouTube channel features video guides and ads, all of which are developed and managed by the organization. This has apparently been a useful source of traffic and sales, having achieved over 1.8 million views in the last six years. The famous online clothing store, ASOS, has created a community around their brand. An essential part of this has been the creation and spread of videos. Their website features catwalk presentations of each product, giving visitors a 360-degree view of the garments on offer. Their YouTube channel, meanwhile, features dozens of exclusive videos, including the latest promotions and discounts as well as a regular magazine show. While this helps push sales, it also creates public interest in the brand, helping grow loyalty – as seen by the 8.1 million views that their content has received. When you go off-site with your video marketing efforts, it is crucial that you get your branding right, just like GHD and ASOS. Regardless of how popular a video gets, if you were to create a highly interactive and informative guide without any direct association with your business, you are unlikely to reap the full benefit of this. So, avoid leaving your loyal viewers in doubt, ensure you have clear branding at the start and end of your video to guide them to your site. 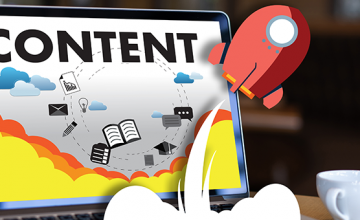 Both quality and quantity of content become increasingly essential for businesses online. The breakneck speed at which new companies are coming into the market and going out of business, it is vital that you give yourself every advantage possible. Video marketing can most certainly be an active part of the comprehensive marketing strategy. The main reason why many e-commerce business owners don’t use video is that most people think it’s complicated or that they must create a masterpiece that will go ‘viral.’ The fact, though, is that implementing an excellent video strategy for your online brand does not have to be difficult and many times, even the simplest methods can give you a competitive advantage. Let’s take a look at how a company like Theory 11 have implemented video successfully in their business, using altering degrees of effort and intricacy. Unlike ASOS and GHD, Theory11 is one brand that goes to an extreme when creating videos for their products. They are high production and very polished, weaving in their service throughout. It is the perfect example of a company that understands the power of video. Hard Graft took an even simpler approach by embedding an eight-second promo-vid – from their account on the social network Vine – at the bottom of each of their product pages. Shot using a smartphone, these videos use the least amount of money and time and really shows you how inexpensive and straightforward your video strategy can be. Despite being so prevalent on the internet, video marketing is still a very under-utilized component of most e-commerce businesses. Given the number of high definition and affordable video cameras available in the market, and the fact that almost every person has a highly capable smartphone with an HD camera negates all excuse for not considering how video can be used adequately for your business. As you can see from the various examples in this post, your video method can differ widely, regarding both complexity and cost. In the end, you must determine how video can add value to your client’s experience and decide on your approach.